All those bears have to be ordered for you specially. The feet will be embroidered with a name and date as you wish. Every bear is available in white or reddish brown. Delivery will take up to 6 weeks. This bear is 30 cm. / 12" tall. He is made out of cream colored plush. 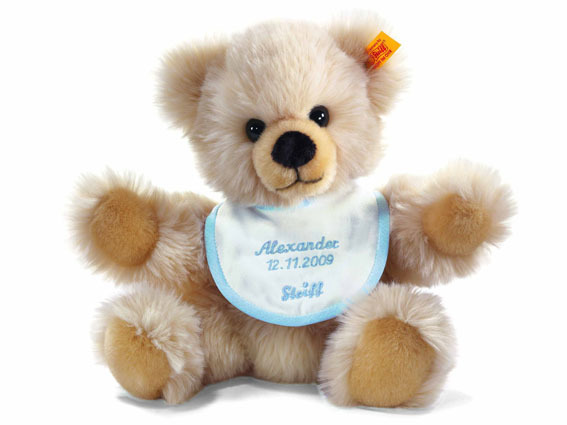 He comes with a coupon to order a personalised bib at Steiff. There is space for the name (12 letters max) and the dat of birth. 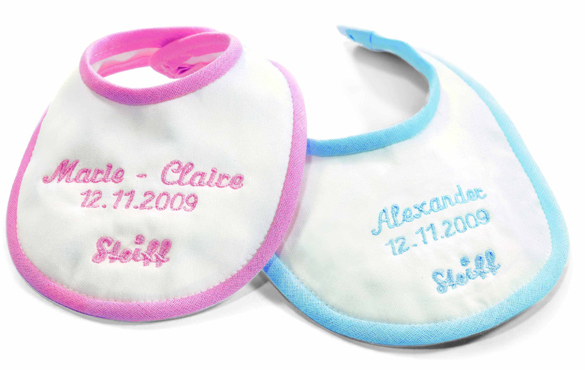 The bib will be sent within 10 days.